The new Trim Silences option can be found in the playback settings menu. 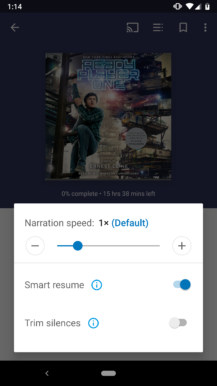 You can open this menu by tapping the playback speed button in the audiobook player. By default, the option is disabled. 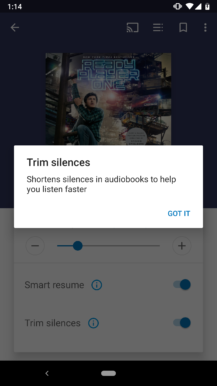 By all appearances, this seems to be identical to the Trim Silence feature added to the Google Podcast player just last month. However, since most audiobooks are professionally edited to remove most long pauses, this feature probably won't be quite as useful in Play Books. At least in my brief attempt to find samples, I didn't notice much difference. 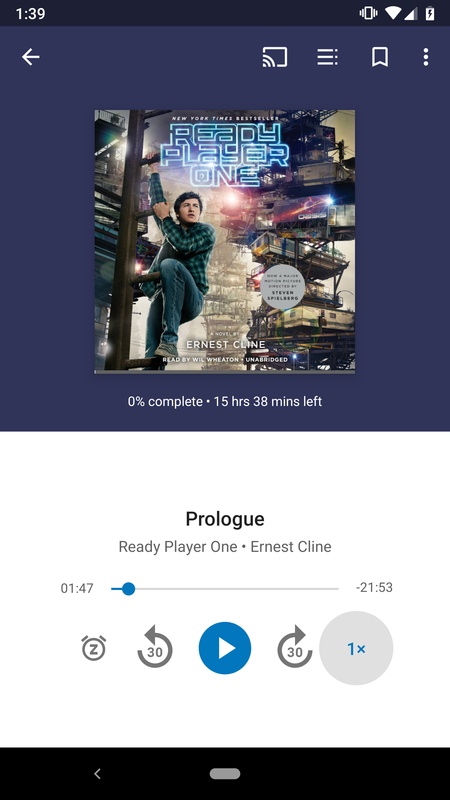 Nevertheless, it's good to see silence trimming added here for the occasional audiobook that could benefit from it.